In August of this year, while doing research on Planned Parenthood, I was stunned to discover that they had opened an office within miles of my home. 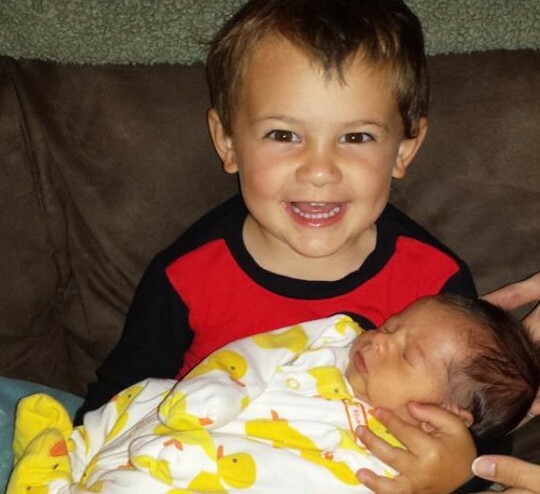 At the time I was anxiously awaiting the impending birth of my second grandson and was saddened by the fact that in the small town of Salisbury, Maryland a mother could walk into a Planned Parenthood clinic and have her unborn child killed. I wasn’t born yesterday and I know that most of the letters I send will never be seen by the intended recipient. The following letter was addressed to whomever drew the short straw and opened the mail at Planned Parenthood’s Salisbury, Maryland office. I was recently appalled to learn that Planned Parenthood was alive and well at your location, less than 2 miles from my home. I was even more appalled after visiting your website where I learned that you would accept a young woman’s high school I.D., report card, or class schedule as forms of identification. I can’t tell you how disappointed I am that the abortion industry has opened shop in my Town. Obviously, I don’t know who will be reading this letter, but in a town this size you’re probably a friend, a neighbor, or an acquaintance of an acquaintance. Times are tough and work is hard to come by, but is it really worth it to work for an organization that kills over 300,000 babies a year? Like it or not, you’re being paid with blood money. Have you read your website? Isn’t it ironic that your site says the following? “We do not provide childcare services. We request that you please make childcare arrangements.” I guess in a perverse kind of way your clients are making childcare arrangements, aren’t they? I am confused, however, because under your abortion tab you clearly state “Please do not bring children with you to the health center.” This presents a dilemma on many fronts. How is a mother supposed to kill her child if she doesn’t bring it with her? Maybe you just don’t want post-birth children to see what happens at your facility. Whatever the reason for your ‘no children’ policy, I agree with you. A Planned Parenthood clinic is no place for a child to be, at any stage in its life. Every dose of Mifepristone(RU486) that your facility administers to a pregnant mother will kill a living human being. Every referral that you make to a clinic that performs surgical abortions will result in the death of an innocent human being. Every time a desperate young woman pays you $375.00 for the abortion pill a living baby is about to die. In my world, every life is priceless and ending one for a few hundred dollars is beyond repugnant. You and I, and all your colleagues at Planned Parenthood were allowed to be born. We weren’t guaranteed prosperity, success, or happiness; but we were given a chance. You will never convince me that every unborn child doesn’t, at the very least, deserve a chance. Every 94 seconds, somewhere in America your employer kills another innocent child. I’m pretty sure that most of Planned Parenthood’s employees have never heard of Sophocles, but his work should be required reading for all of you. He wrote the following: “There is no witness so terrible or no accuser so powerful as the conscience.” I respectfully request that you dwell on this and rethink what you do for a living.